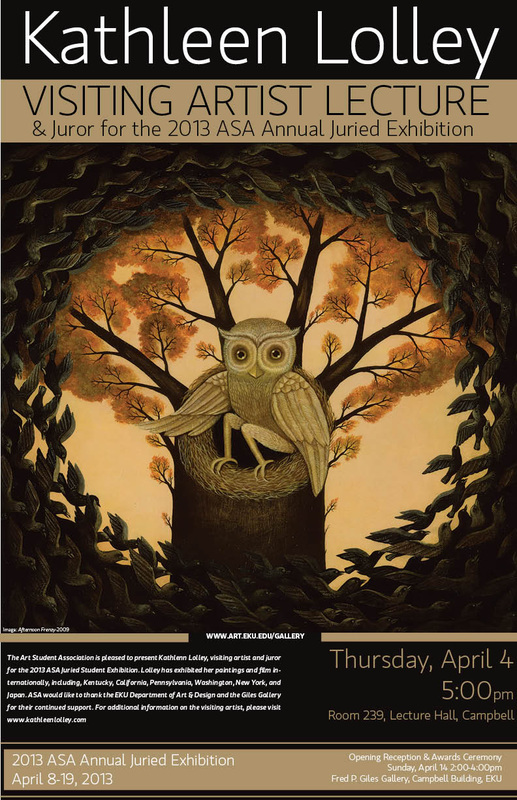 Above: Kathleen Lolley Visiting Artist Poster. 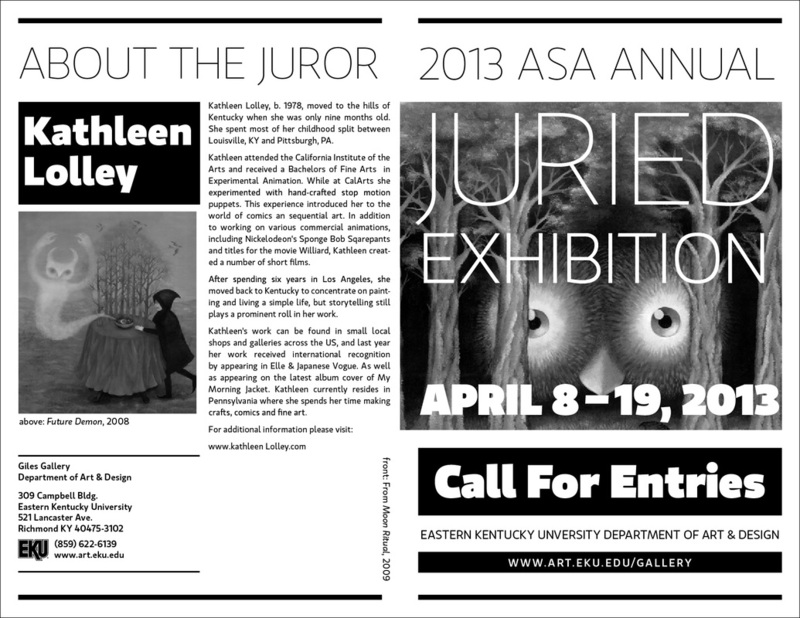 Right: Top-Front of Gallery Card, Middle- Call for Entries Brochure, Bottom: Award. 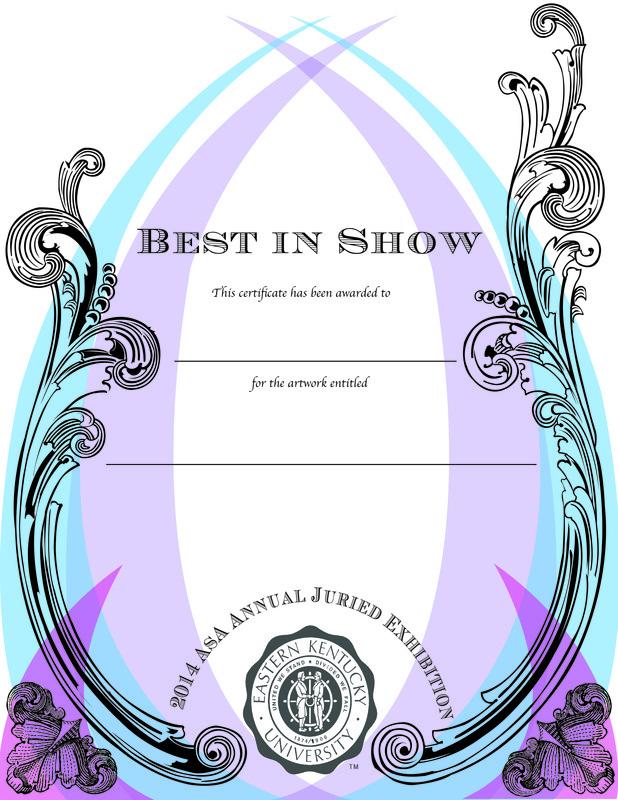 The 2013 ASA Annual Juried Exhibition was my first opportunity to put my own spin on the yearly student show's marketing. Given a fairly blank slate with only a chosen typeface, and size reference. It was my job to create a vibe that would reflect the visiting artists personality.